After the swedish gaming-company Mionix could surprise the gaming-scene with their ambidextrous “Avior 7000”-mouse, they listened to the fans and released their brand new ergonomic gaming-mouse “Castor”, whose name is derived from greek mythology. Mionix proved us with the Avior that they are a company that focuses on good build-quality and functioning, which is rather rare on today’s market. Are they able to deliver a solid piece of hardware again? Let’s take a look! Technically, the Castor has the same specs as the Avior. Coming with a great implementation of the PMW3310 sensor aswell as a stable pollingrate, the Castor runs flawlessly without any bugs or interferences. No smoothing, no acceleration, no Angle snapping, no weird sensor issues. It’s working as intended and creates the foundation for a consistent gaming experience. The new Mionix software runs without installing. Mionix did their job fine again with a smooth running software that allows for high customization. The software hasn’t changed much since the Avior, except that it doesn’t need to be installed anymore. We found this feature very helpful for attending LANs or playing on other PC’s. The weight of approximately 93g seems a little high for a mouse of this size but it feels much lighter than it actually is. You are able to lift this mouse around without experiencing any signs of inertia. Unlike many gaming mice, which are too thin, the Castor comes with a nice width of 70mm, which allows for stable aim-control. Compared to the Avior, the Castor fills the palm better with an increased height of 40mm (Avior had 34mm). Palm, Claw or Fingertip? The Castor shape allows for all 3. We genuinely think Mionix has created one of the best ergonomical shapes of all time with the Castor. It has been designed to function with all 3 gripstyles (Claw, Palm, Fingertip) and comes with a pinky rest on the right and a nice rubber grip on the left side. We found a Palm-Claw hybrid to be the most comfortable here, but most other grip-styles worked aswell without any issues. The Castor´also should fit most hand sizes. However there is an exception: Do you have large hands and fully palm your mouse? Then better avoid the Castor as the chance is high that it feels too small for you. 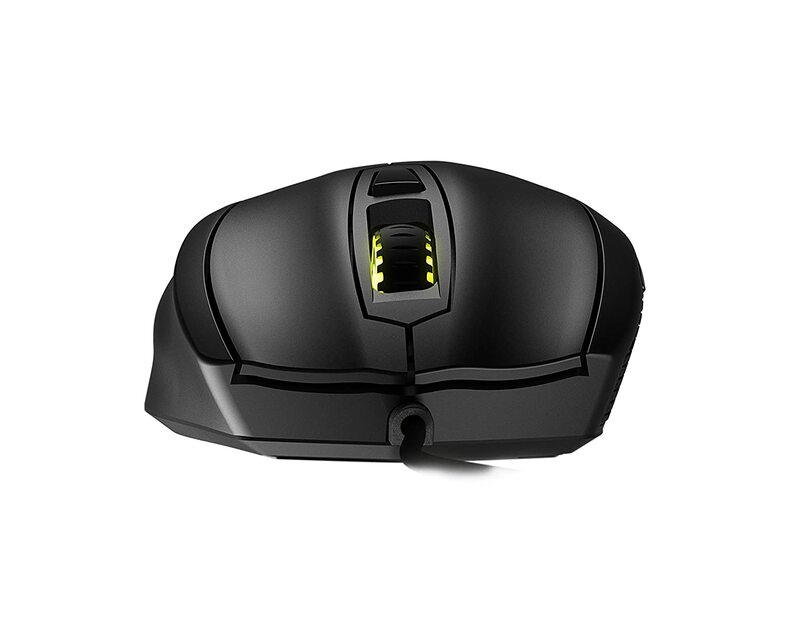 Zowie-mice can get some issues with this super-light clicks. The clicks are still good but we expected the same quality as on the Avior, which is not the case here. The mousewheel also feels cheaper compared to the Avior and it produces some rattling sounds, which can get annoying for some people. 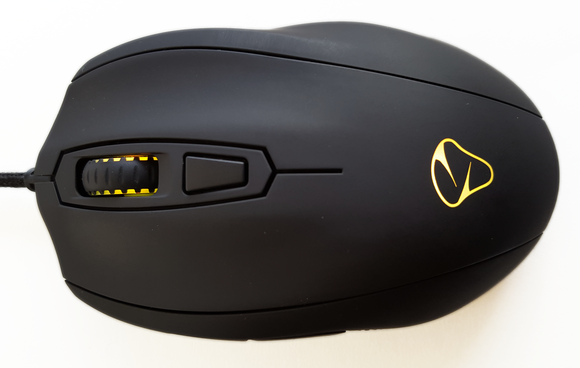 The Mionix Castor is a great allround-gaming mouse. Mionix live up to their new slogan “It’s all about the craftmanship” and gave us a technically flawless gaming mouse once again, this time with a GREAT shape. However a few issues like the very light clicks can’t be ignored and we hope Mionix will adress these for their next mice. Overall, the Castor could convince us and is an improvement over the Avior in terms of size, shape and weight but somehow we are missing this little extra magic that the Avior had, which makes you absolutely dominate your opponent. Ever wondered if there are any decent high end gaming mice aside from the known brands like Razer, Logitech, SteelSeries & Co. ? In today’s review we will take a closer look at the Avior 7000 from swedish gaming-company Mionix. With the Avior 7000, Mionix shows us once again why their name is associated with quality . We were stunned after unboxing, as this ambidextrous mouse is a rock-solid piece of hardware and easily beats many of its competitors in terms of build-quality. On the technical site, a flawless implementation of the PMW3310DH sensor ensures a responsive 1:1 tracking in CS:GO and other games. We didn’t notice any smoothing, prediction or other issues. An amazing Max-Speed of 4,90m/s fits low-sensitivity players. The Mionix software is highly customizable. The PMW3310 is generally considered as the best sensor on the current market. One of the reasons for this is the advanced technology it uses, which allows a highly customizable software. Mionix took advantage of that and provides a very decent software for the Avior. It features nearly everything a gamer would need. Wanna change the Lift-Off-Distance to your preferences or even activate prediction? The software runs smoothly without any problems and allows you to customize a good bunch of things. Another feature the 3310 sensor is known for are native DPI steps from 50 to 7000 DPI. Worked flawlessly for us and it didn’t lead to DPI consistency issues as it was the case on some other 3310-mice. Mionix did a clean job here. With a weight of 100g the Avior is not the lightest gaming-mouse, as the trend goes towards 80-90g mice. However, we didn’t experience any issues from the weight, even after long gaming-sessions our hands didn’t cramp. 100g is still lighter than a Razer DeathAdder and we found it to provide the perfect mix of precision and easy mouse-lifting. As many modern mice, the Avior comes with a soft-rubber coating. While gamers with sweaty hands love it, this kind of surface is rather unadvantageous for dry hands until it gets worn a little bit. Mionix designed a clever grip on the Avior. It simulates an ergonomical feeling similar to a DeathAdder, while the mouse is ambidextrous. It has 2 side-buttons on both sides. Despite the buttons are not sticking out crazily like on some other ambi-mice, they can still be an issue for some gamers. We strongly recommend to get a hands-on test before buying, as the extra 2 side-buttons can be a no-go for some people. Equipped with Omron-switches, the clicks on the Avior are very light but still give a tactile feedback. We experienced the clicks as very satisfying. The mousewheel is also of high quality. During our testing time, it didn’t squeak or skip once while scrolling. The Clicks and mousewheel are some of the best we’ve ever seen. The Mionix Avior 7000 is a true gem on todays gamers’ market. It is a beast in terms of build-quality and comes with a flawless sensor-implementation. We are truly impressed by the work of Mionix here. If you get along with the semi-conservative design and grip, this could be your perfect mouse for CS:GO and all other games.